Obama Prototype – Ghanan Dictator Nkrumah Seen as Messiah | Stop Obama Now!! 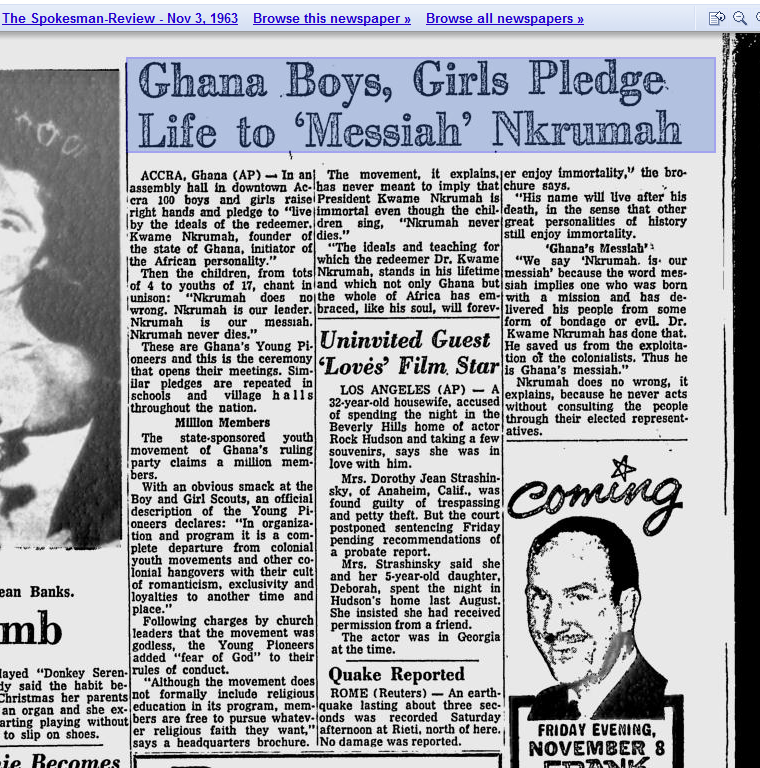 Kwame Nkrumah was also hailed as a Messiah, like Obama has been, as the article below shows. 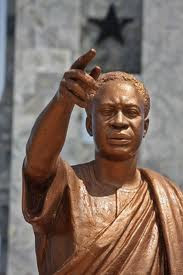 Nkrumah was the socialist dictator of Ghana, the first African county to win its independence (from the British) after WWII. He was influenced by American Black Nationalists/pan Africanists, W.E.B. Dubois and Marcus Garvey and met with Malcolm X in the 1960’s. He started a youth organization, the Young Pioneers, that some compared to the Nazi Hitler Youth. This idea of a black messiah, who is like a God, goes back a long way in the history of Black Nationalism in America as well as in Africa. It didn’t start with Obama. Ghana was one of the countries that Obama honored with a visit on his first trip abroad after his inauguration in 2009. There is an old belief that you need dictatorship in order to liberate blacks from American (Western) white oppression. Click on the image to obtain a larger view.